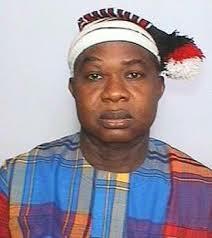 The senator representing Ebonyi South Senatorial Zone in the National Assembly, Sen. Sonni Ogbuoji, has declared to run for the governorship position in the state in the 2019 general election under the platform of the All Progressives Congress (APC). Ogbuoji, who is Vice Chairman, Senate Committee on Appropriation, defected from the People’s Democratic Party (PDP) to the APC and was officially received into the party, recently, by the National Chairman of the party, Adams Oshiomhole, at a rally held, in Abakaliki. This was even as the leadership of the party in Ebonyi Central Senatorial zone has zoned the National Assembly positions in the district to some local governments in the zone. According to a statement issued to Daily Sun by the party’s Publicity Secretary in Central Senatorial zone, Chris Nnanna Ogba, the position of Federal House of Representatives for Ezza South/Ikwo constituency was zoned to Ikwo LGA; senatorial position of Ebonyi Central was zoned to Ezza South/Ezza North; while the position of Federal House of Representatives Ezza North/Ishielu constituency was zoned to Ishielu LGA. Ogbuoji, while declaring his governorship ambition at his campaign office located near Presco Junction along the Abakaliki/Enugu Expressway, promised an an all-inclusive government if he clinches the party’s ticket and subsequently wins the governorship election next year. Said he “Under my watch, the unity of Ebonyi people will be the priority of this government. “All Ebonyians, including visitors, no matter their political persuasions will be free to leave in and pursue their endeavours without any intimidation whatsoever. “Every civil servant will enjoy due promotions to the next level. Permanent secretaries will be appointed to ensure smooth running of government and career progression. “Only genuine taxes will be paid by those who are qualified to pay taxes. In addition, government will provide enabling environment for businesses to flourish as well as provision of employment for our teaming youths, men, women, and children. “Our infrastructural programme will focus on education, health, roads and agriculture. “These sectors have potentials to provide critical mass for manpower and needed job opportunities for our youths. The Ebonyi we desire is possible. Ebonyi State can be great under God”, he said.